The Ito is Black silk over Black Rayskin. 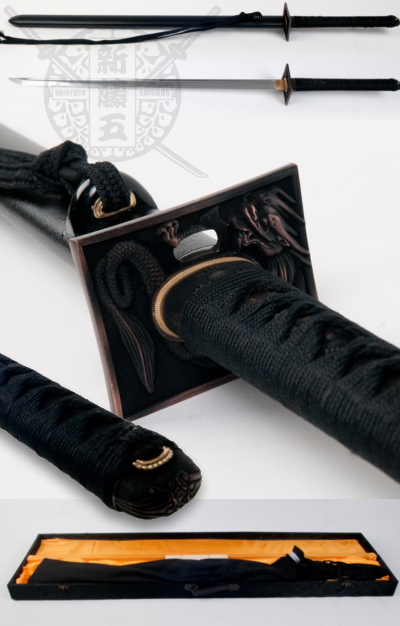 Tsuka is double pinned with bamboo mekugi, silk Ito wrapped with hishigami paper. Saya is about 30 inches , wood with Matte Black finish. 3 pc bullhorn, silk Sageo. Handmade. Brand new. Comes with sword bag.